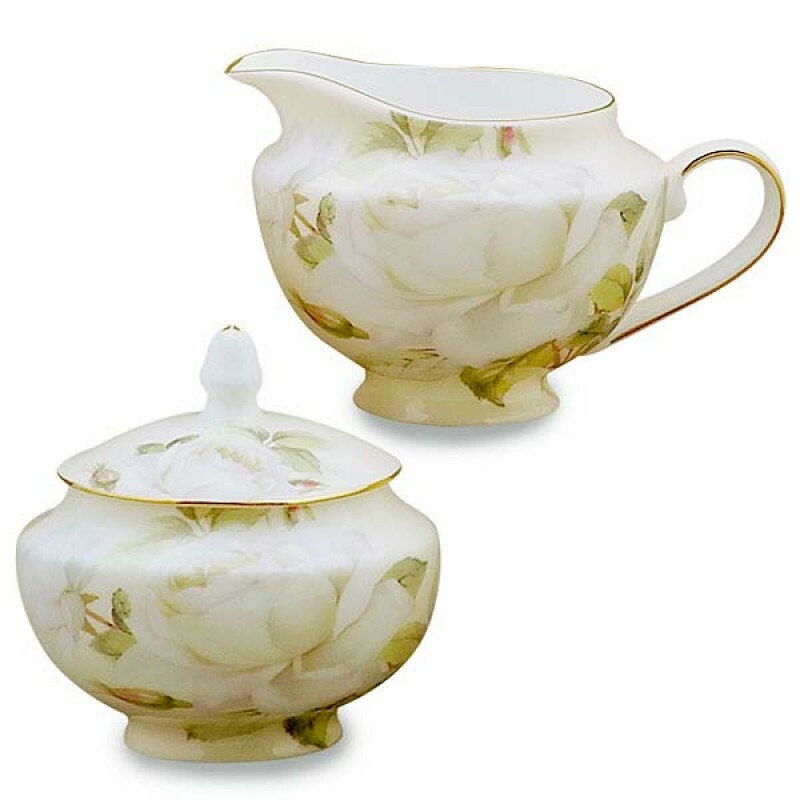 9 ounces Coverd Sugar Bowl, 9 ounces Creamer Pot. Fine Bone China. Full Covered with Cream Decal Background.